A little backstory on our 2017 Castle Peak 100k tagline, “All Altitude. No Attitude.” In March, our volunteer graphic designer, Diane (ispyfred.com) sent me the following note. I’ve been thinking about the Castle Peak race a lot lately- and one of the things that’s always struck me about it vs. other races is the surprising lack of attitude. It’s very inclusive and supportive while still being a major race in terms of degree of difficulty. Being involved with 2 aid stations last year as well and meeting all the runners was great and I heard the same sentiment— this race has a surprising lack of attitude. I’ve been sitting on this idea of a tagline since last year— I think it works well to describe the race, the runners, the course and our organization. So that’s the story behind the headline I’m using for this ad. Diane is an LA girl turned Tahoe, so she certainly knows how to identify attitude (or lack thereof)! She selected a great photo by Scott Rokis (Rokis Photo) of 2016 Castle Peak 100k finisher Brent Konvalin to communicate the idea. 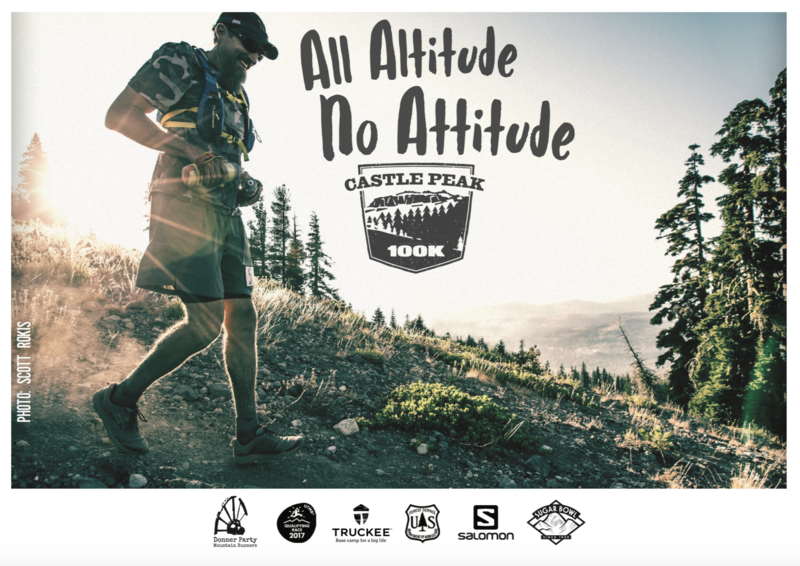 Click here for 2017 Castle Peak 100k registration information and experience all the altitude with none of the attitude for yourself on August 26, 2017!